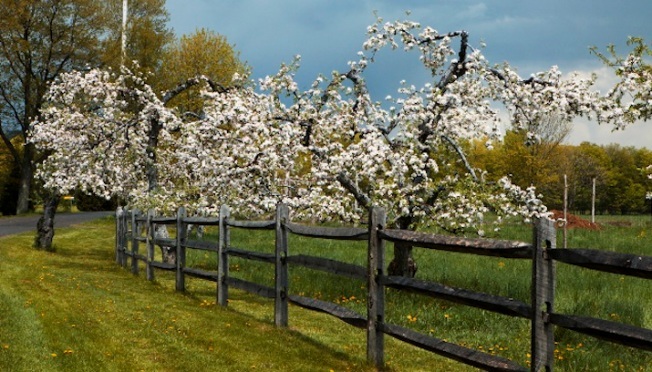 Now is the best time to visit gorgeous upstate's Westwind Orchard, a farm which has greatly expanded its offerings beyond apple picking to include honey, produce, chocolate and more, all organic, ridiculously delicious, and beautifully set forth. Two hours north of New York City in the tiny hamlet of Accord, NY, fashion stylist Laura Ferrara and fashion photographer Fabio Chizzola, who are husband and wife, run a thriving, beautiful organic apple orchard and farm, an intriguing complement to their busy, urbane city life. What started as a quiet weekend retreat blossomed into a fully-working 33-acre apple orchard and farmstand business with Westwind now selling its own honey, vegetables, and delicious home-made gelato in addition to the best-tasting apples. When you bite into a Westwind apple you are jolted by how flavorful a real, fresh-picked apple tastes. Pick your own happens every fall weekend until the end of October from 10AM-6PM, and the bounty includes berries and pumpkins in addition to apples. A gorgeous 18th century stone farmhouse and restored barn where Ferrara and Chizzola entertain family and friends sit on the property, and for anyone who comes to Westwind, the Ferrara-Chizzola warmth and generosity is immediately palpable. The genuine passion for creating and sustaining the orchard and farm comes through in all the Westwind details, and a Westwind visit infuses its visitors and guests with a feeling of rejuvenation and delight. For a look at la dolce vita, Westwind-style, with gorgeous photos, check out BonAppetit.com. For more information on Westwind Orchard, visit their website.